Arrow’s Green Pest Control uses the best technology, organic pesticides, and exclusion techniques to ensure the maximum control of pests—while also promising the least environmental impact. 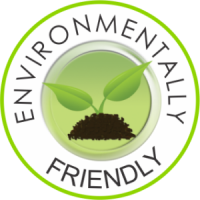 Arrow’s Green Pest Control uses the best technology, organic pesticides, and exclusion techniques to ensure the maximum control of pests-while also promising the least environmental impact. These products have no harmful odors, and you don’t have to leave during treatment. Arrow’s solutions and preventative measures help fight against insects, termites, rodents, and wildlife! Organic Pesticides– Treat your home with Eco SMART’s line of Technology products, including botanical insecticides, repellents, herbicides, and fungicides made with organic essential oils. Weep-Hole Covers– Custom installation with specially designed plastic covers to offer superior protection from an unwanted pest that could enter or live in the weep holes of your home. Bed Bugs– Steam only treatment for bed bugs protect your furniture or mattresses, meaning there’s no need to throwaway your belongings. We also offer bed bug proof mattress encasements!